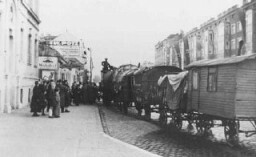 View of the camp for Roma (Gypsies) in Lodz. The original German caption for this photograph was: "Zigeunerlager" (Gypsy camp), #137. 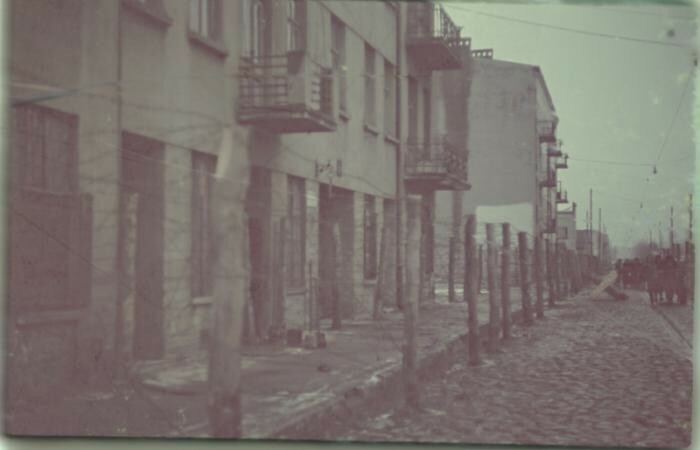 In the autumn of 1941, German police authorities deported some 5,000 Roma from Austria to the ghetto for Jews in Lodz, where they resided in a segregated section (part of which is shown in this photograph). Photograph taken between 1940 and 1944.